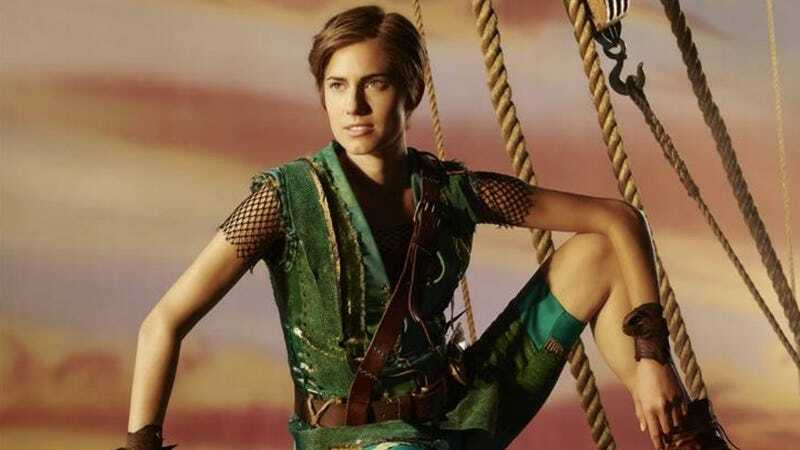 Well, the time has come: on The Today Show Wednesday, NBC released a photo of Allison Williams as Peter Pan for their new live version of the musical. Williams told The Today Show that she offered to cut her hair for the role but that she'll be wearing a wig anyway. Perched on the rigging of a old sailing ship against a sunset backdrop, Williams wears a green vest over a short-sleeved fishnet shirt. Her short, tight pants are a different shade of green and her brown leather boots match her wristbands and belt. Her long brown hair is tucked beneath a boyish wig parted to the side. The live musical extravaganza airs December 4th.